If you're here for the Paper Haus Magazine Blog Hop and my giveaway, keep reading and see the link at the bottom of this post. Yep, I will always be my girls' biggest fan. I mean their daddy and brother might rival me but that's A-OK with me. I snapped this selfie photo of us once she was done with her field day races, which she did soo good at, by the way! It was so much fun cheering her and her class on. The class didn't place in the top 3 but they got Best Sportsmanship! Anyway, here's the layout I created to let her know I will always be her biggest fan! Created using American Crafts Amy Tangerine Yes, Please. 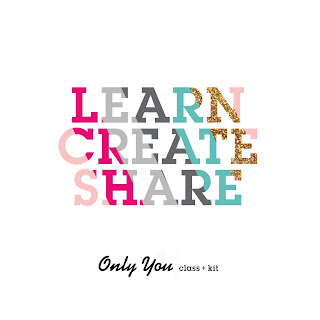 To create this layout, I machine stitched over the background paper in a random zig zag pattern and then layered papers, journaling bits, stickers, die-cuts and anything else that came into my view. LOL. I added a little mist splatters, hand stitching around the heart and sun and then the title. For the journaling, I just drew lines with my pen, did my journaling and then drew more black lines. To complete the journaling, I unscrewed the cap from my misting bottles and ran them over the journaling lines. Thanks for stopping by today! Now, check out the PaperHaus Magazine blog hop in the post below for lots of inspiration and a chance to win the prize I am giving away! Beautiful page. Love the stitching and the colors. I would love it if you linked up to whimsical Wednesday tomorrow. 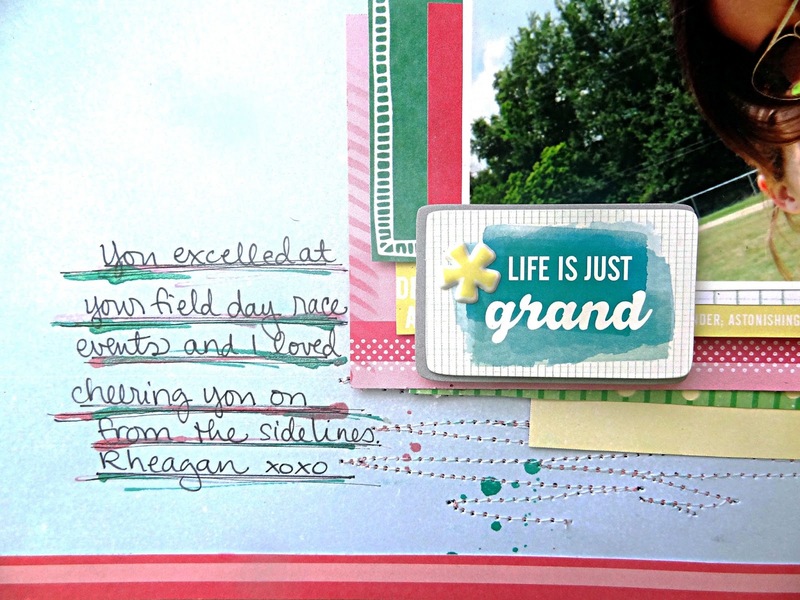 Love the fun stitching Heather, and the twine outlining some of the elements on your page!! Great job with all the stitching. I just love the look it gives your layout! 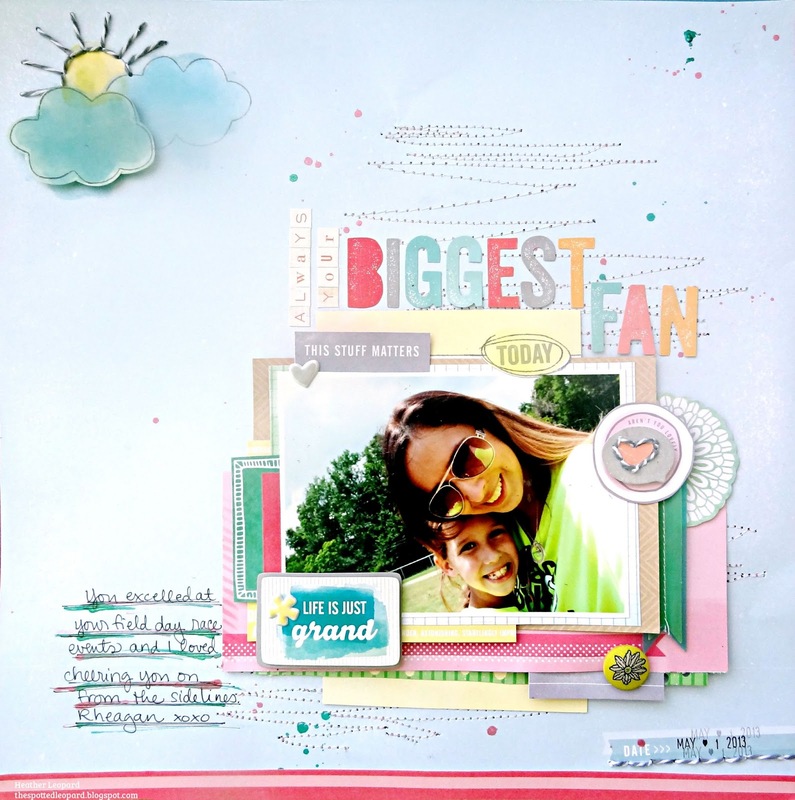 What a wonderful happy layout and what a beautiful little girl and Mommy! I love the added stitching lines, that adds so much and the way you did the lines for the journaling! Oh the details are amazing. I keep looking and see more. A girl after my scrappy heart! Gorgeous! what a SWEET memory captured! LOVE this Heather! !